Setting the mind means being aware of a thought or idea and being able to see it from a distance. We can pay attention, focus, or set the mind. If you turn your head because a glass broke next to you, you paid attention. If you are watching a movie, you are focused on it. If you have thoughts which cause an emotion about yourself or others, then you have set the mind. The first time you try to meditate, your mind jumps from one thought to another. The first level of Buddhist Meditation is achieved when you can be aware of one object during a meditation session. The object can be your breath, a shape, a mantra, or anything you can focus on. We have reached this level when we can fixate the mind on the object and stay with it for a short time before losing it again. We have reached this level when we can remain with our minds set on the object for quite some time. From time to time you lose focus. Once this happens, you become aware of losing your focus. Then, you can set your mind again on the object. The goal is to stay with our minds set on the object at all times during our meditation session. You may still get distracted and experience a feeling of heaviness. But a part of the mind no longer loses the object. The goal is to be able to complete the session with your mind set on the object feeling neither weakness nor vulgar excitement. By becoming familiar with the object, you reach a level of inner peace that you have never experienced before. It is as if your mind has always been like boiling water, and suddenly that water calms down. Your mind experiences a kind of tranquility that you had never known before, and it is extraordinarily pleasant. In the fifth level, you still have some subtle weakness and excitement. The goal is to perceive the object clearly without trying too hard. In this stage, the effort is best used on resolving the subtle excitation. The idea is to be calm with no excitation or weakness. At this level of Buddhist meditation, you must check for excitement or weakness from time to time. Excitement and weakness are no longer strong, and they do not occur frequently. When they do happen, you can just control your thoughts and make them stop. The emotion stops. 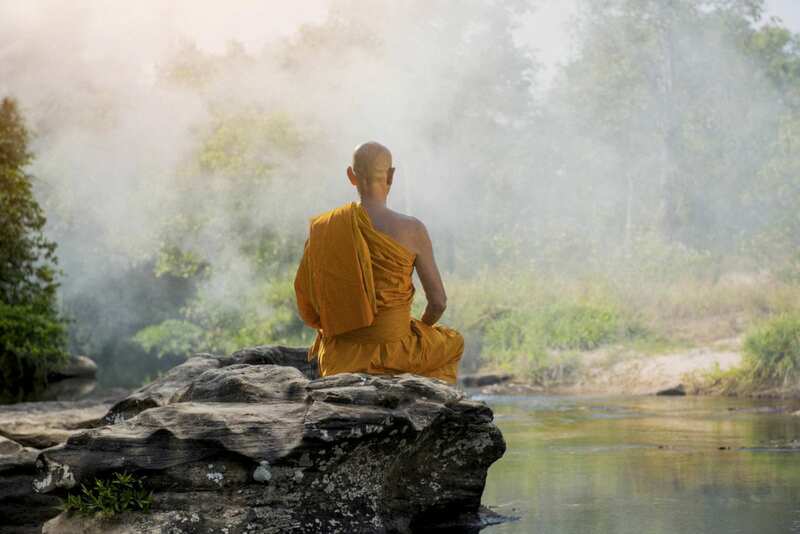 Buddhist Meditation is a process to move from the ordinary, distorted mind to a peaceful mind. It is like entering a tunnel. You only see the target at the end, and you do not get distracted with the landscape. In this level of Buddhist meditation, there is no effort. No matter how long your session takes, you can keep your focus set on the object without feeling any excitement. You have succeeded to reach mental peace. Can Yoga Be Applied in Your Career? How Can I Use Activated Charcoal? Copyright © 2019 Bonbon Mag. Powered by WordPress and Stargazer.